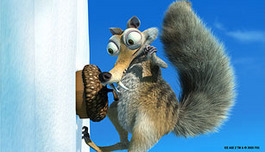 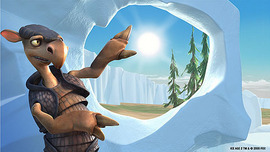 Ice Age is a feature-length computer-animated film created by Blue Sky Studios and released by 20th Century Fox in 2002. 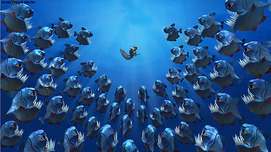 It was directed by Carlos Saldanha and Chris Wedge from a story by Michael J. Wilson. 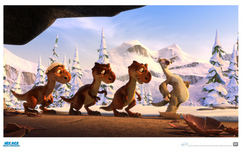 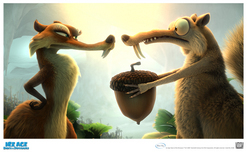 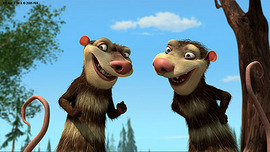 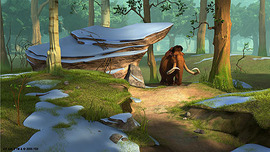 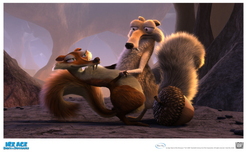 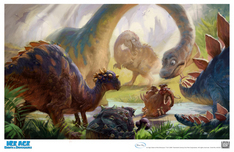 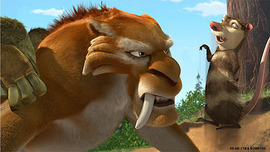 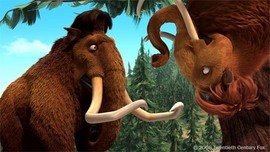 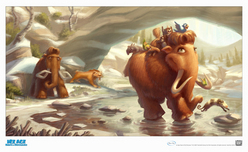 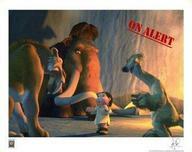 Its sequels are called Ice Age: The Meltdown (2006) and Ice Age 3 (2009).The characters are all prehistoric animals with the exception of some early humans (who bear some Neanderthal-like facial features, yet are not shown conversing, only grunting or yelling, and possess technology that is much more sophisticated). 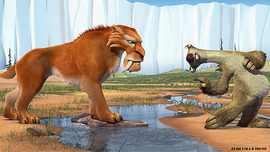 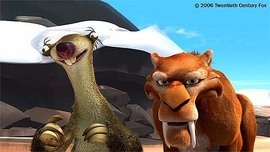 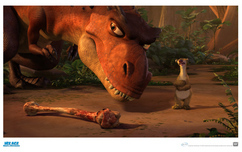 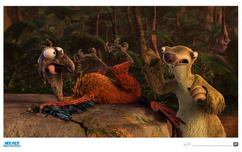 The animals can talk to and understand each other and are voiced by a variety of famous actors. 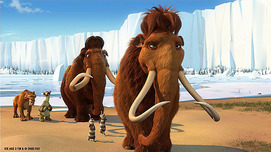 What can also be noted is that, like many films of prehistoric life, the rules of time periods apply very loosely, as many of the species shown in the film never actually lived in the same areas, let alone the same time periods.